NIERSC was named after Fridtjof Nansen who was an outstanding scientist. Thanks to his original studies and challenging expeditions our knowledge about Arctic has crucially increased. The results of his works laid the foundation for currently important research in the Arctic Ocean and the Norwegian Sea. 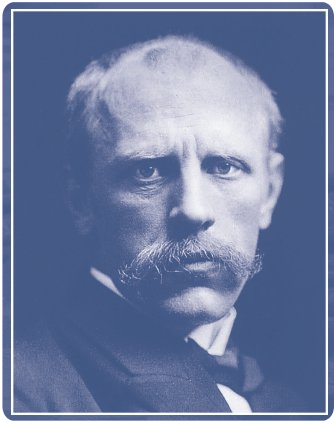 Nansen also was a greater humanist, organizing repatriation for prisoners of war and refugees in Europe. He organized help for millions of Russians during the starvation after the revolution and the war. Furthermore, the «Nansen Passport», authorized by 52 nations, helped political refugees to settle down in new countries. In 1922 Fridtjof Nansen was awarded the Nobel Peace Prize.